Abl2Extract is a powerful PDF Converter tool that lets users convert their PDF data into formatted MS Excel spreadsheets, editable MS Word documents, forms, powerpoint presentations, Autocad (DWG, DXF), Open Office, image formats (jpeg, bmp, png, tiff, etc. ), HTML and more. 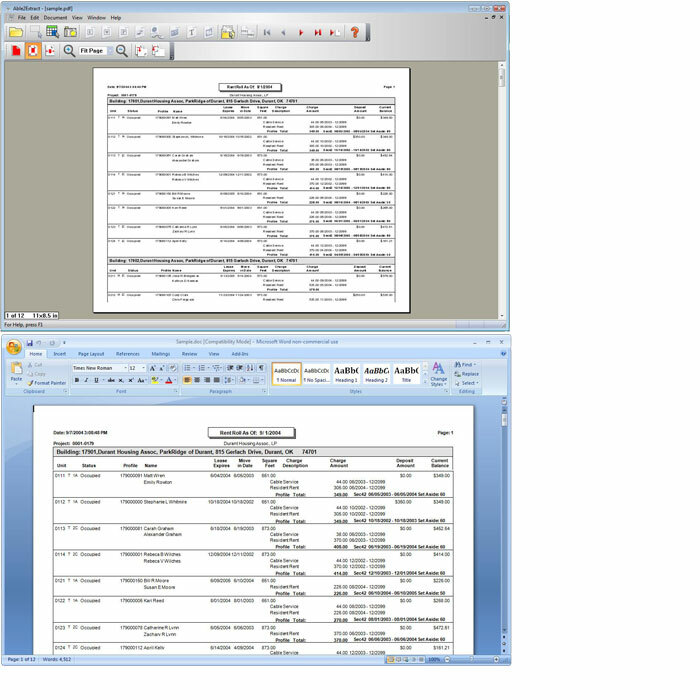 A2E has its own proprietary PDF viewer that allows users to select exactly what they want to convert. ...... use. This ensures perfect conversions into Excel. A2E also converts XPS documents into Word, Excel, Powerpoint and more. XPS is microsoft's PDF competitor available in Vista. A2E allows users to better utilize data in certain formats such as financial information and database reports. For example, users can select and convert financial tables and other tabular data directly into Excel rather than inputting the data manually, i.e. PDF to Excel, PDF to Text, HTML to Excel??? A2E is a standalone Windows application that does not require Adobe Acrobat. Version 7.0 adds batch conversion of PDFs, PDF to Autocad (DWG and DXF formats) conversion. Licensing: In addition to the full license for $99.95, a 30-day subscription license is also available for $34.95. Qweas is providing links to Able2Extract 7.0.6.20 as a courtesy, and makes no representations regarding Able2Extract or any other applications or any information related thereto. Any questions, complaints or claims regarding this application Able2Extract 7.0.6.20 must be directed to the appropriate software vendor. You may click the publisher link of Able2Extract on the top of this page to get more details about the vendor.